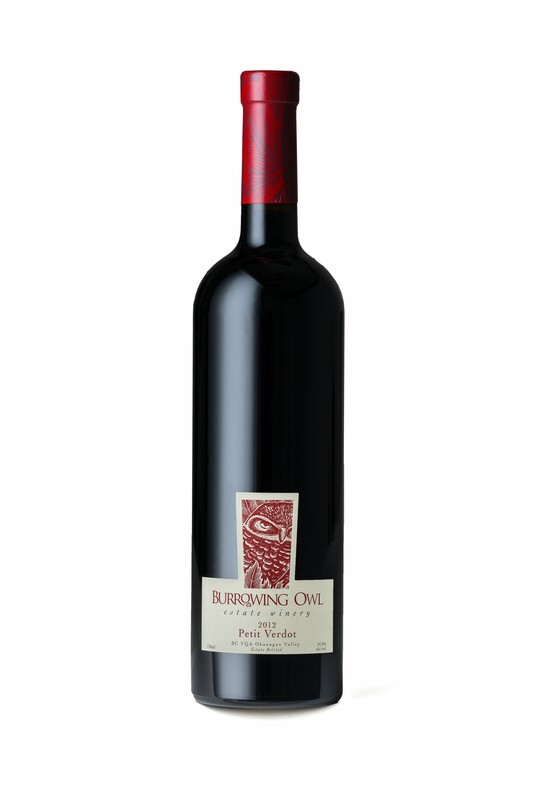 Burrowing Owl Estate Winery is proud to announce the premier release of Petit Verdot as a single varietal, to the line up of premium wines. The 2012 Petit Verdot shows dense black fruit aromas mixed with an array of seductive spices. Cassis and stewed blackberries mingle on the nose combined with Dutch black liquorice, dusty earth and notes of all-spice. On the palate it offers layers of intriguing flavours with blackberry, liquorice, cedar, black olive and all-spice all melding together on a long length. The tannins offer some grip and structure to an overall gentle and soft texture. It will partner well with meatier dishes: try Port braised beef short ribs with star anise or a hearty lamb stew for a tasty match. 2012 grapes benefited from an exceptional growing season offering warm and steady temperatures and bringing phenolic ripeness, sugars and acids into perfect harmony. Early November, the grapes were harvested by hand from Burrowing Owl Eva’s Vineyard next to the lake of Osoyoos on the East bench. They were de-stemmed and gently crushed before being fed by gravity flow into stainless tanks where they were allowed to cold soak for 3 days prior to fermentation for extraction of colour. Following the fermentation the wine was given 5 days to settle on its skins for further extraction before it was pressed off and moved into barrels for malolactic fermentation and maturing process. It was aged for 21 months in a selection of barrels to help round out the tannins and lend to complex savoury notes. Racked 4 times during ageing, it was then bottled unfiltered.